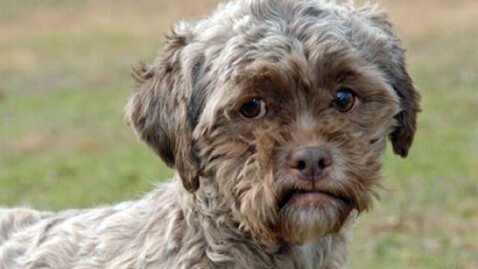 Meet Tonik, a poodle Shih Tzu mix that has one of those faces that look … well, human. The 2-year-old pooch, which is up for adoption at the Homeward Bound Animal Welfare Group in Mishawaka, Ind., was saved from a kill shelter in Kentucky, according to the group's website. Though he has little socialization with other dogs, they say he is friendly. Gossip website Gawker first noticed Tonik this week, and pointed out the pooch's humanoid features. Tonik has been vet-checked, neutered, and micro chipped, and can be yours for an adoption fee of $250.